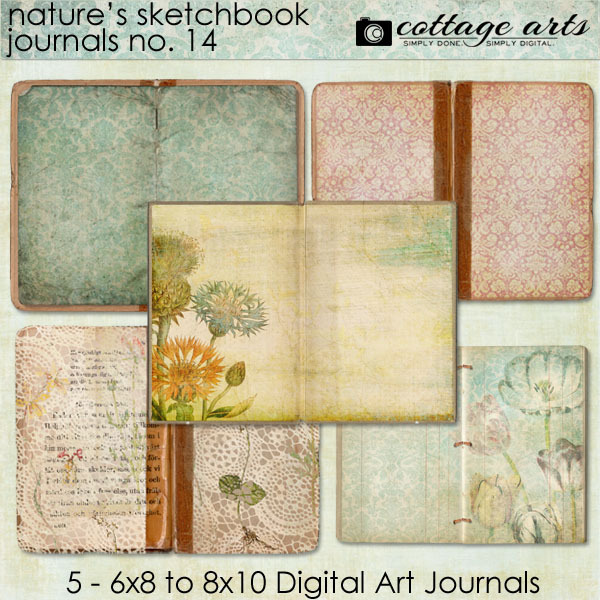 This Journal Pak includes 5 - 6x8 to 8x10 botanical/vintage inspired journals for you to build your own nature's sketchbook or to layer on top of a digital paper as part of your scrapbook page. 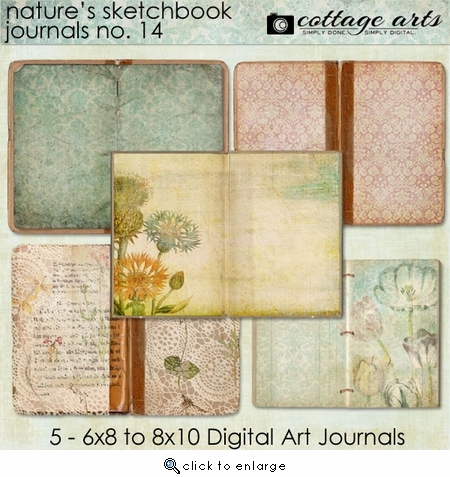 The journals can also be printed for altered art projects. We can't wait to see what you create with them!